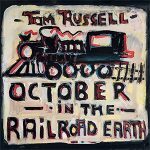 October In The Railroad Earth, the brand new studio album from Tom Russell, was released last Friday and is receiving high praise from reviewers across the UK and further abroad. 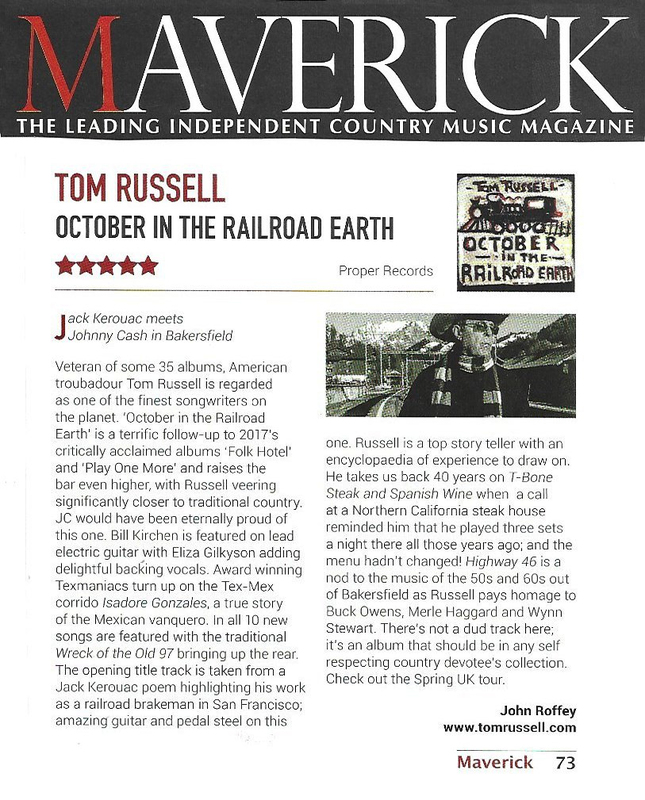 Americana UK said in their 8 out of 10 review that this is “fantastic album from an exceptional songwriter” and Maverick Magazine agreed saying in their 5 star review “There’s not a dud track here; it’s an album that should be in any self respecting country devotee’s collection.”. 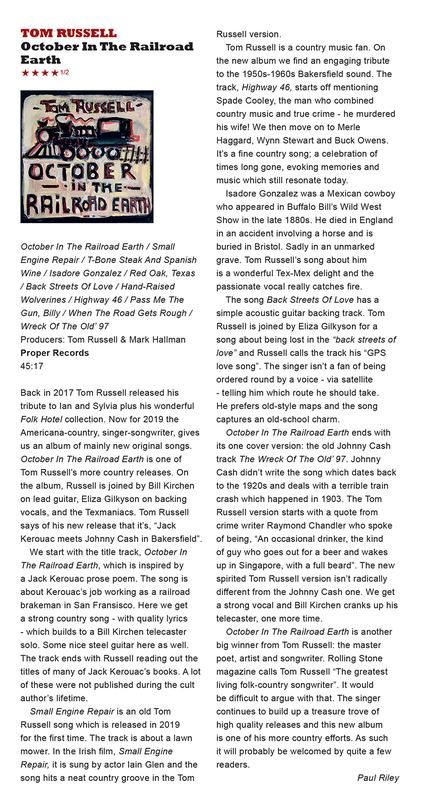 More of the review highlights are included below and you can also click through to read each of the reviews in full. 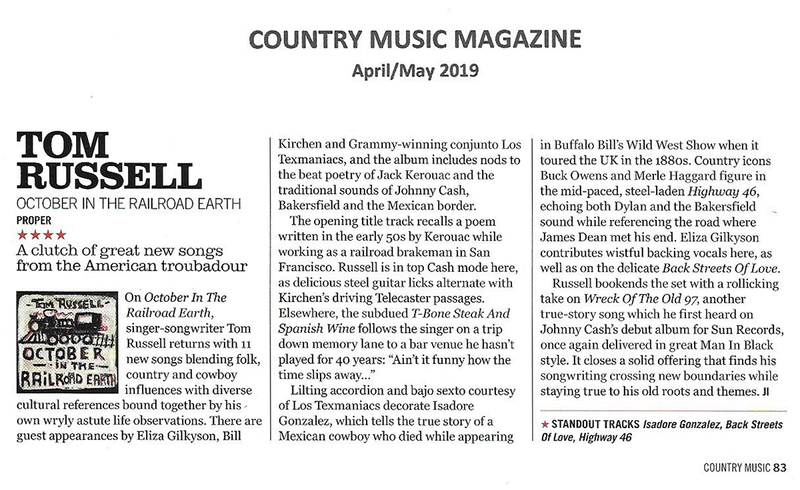 Update 22 March 2019: We’re thrilled to see October In The Railroad Earth debut at no. 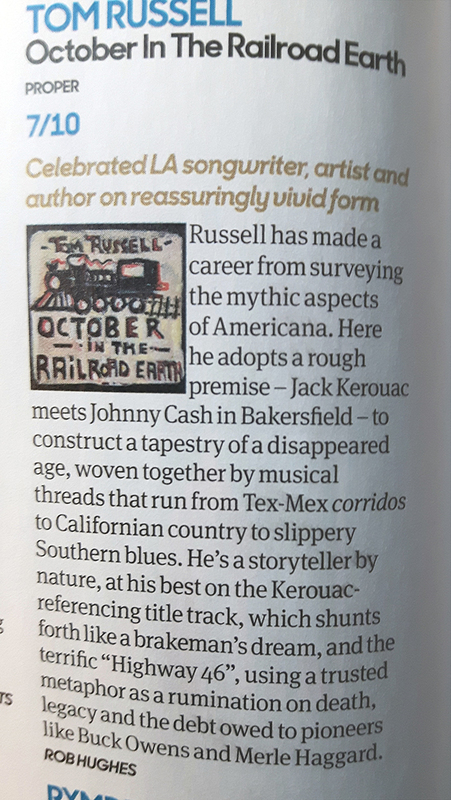 1 in the UK Americana chart. Tom will be on tour in the UK later this month and on into April, you can find all of his upcoming dates below. Address: 312-320, Ormeau Rd BT7 2GE. Venue phone: 02890641410.